Cut wings in half, dip in egg and coat with flour. Heat butter in a large, deep skillet over medium-high heat. 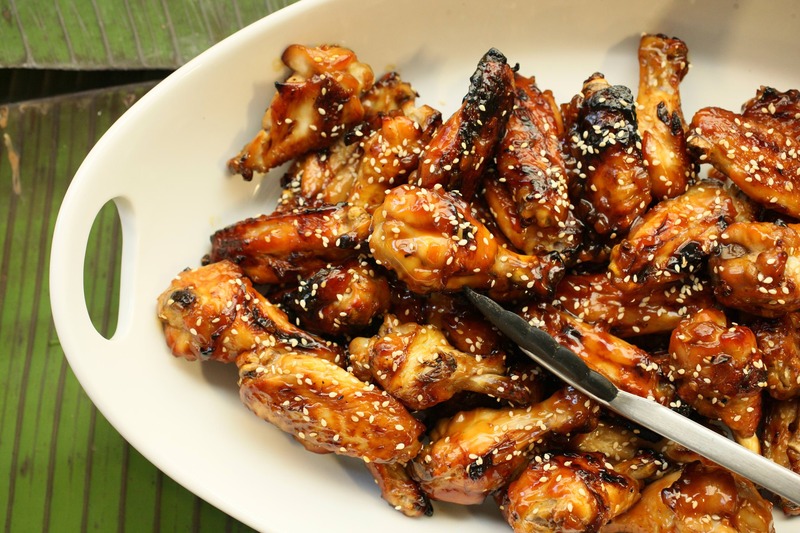 Fry wings until deep brown. Place in a shallow roasting pan. In a small bowl combine soy sauce, water, sugar, vinegar, garlic powder and salt. Pour over wings. Bake in preheated oven for 30 to 45 minutes, basting wings with sauce often.